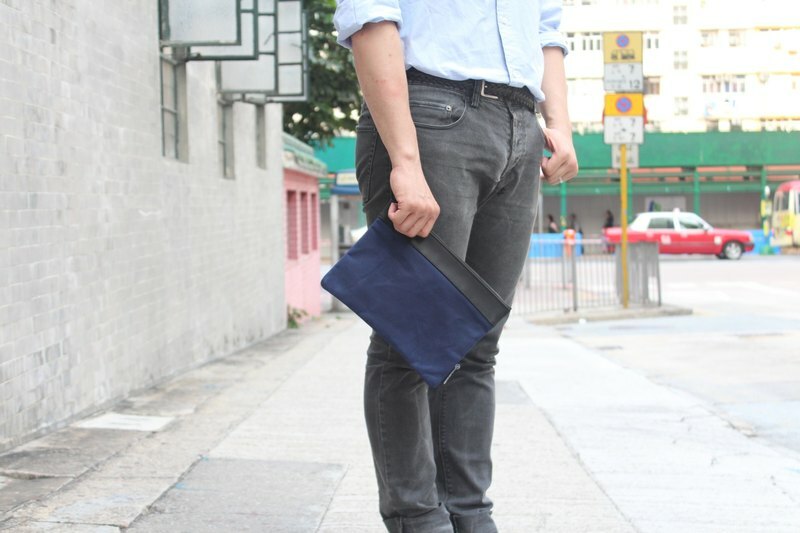 The size of our Small Portfolio Bag is small and handy that is enough to fit an ipad mini and your daily necessities. Perfect pouch to carry to the near by café. Material: Waxed Canvas; Genuine leather tab. Color: Blue Waxed Canvas & Black Leather Lining: Black Cotton-poly fabric Size :15 (h) cm x 25.5 cm (w); Inner pocket: 21cm x 25cm Main compartment : Black Metal Zipper with Civilian Goods zipper puller Construction: 1 inner pocket for cards and kinck knacks.